We are proud to announce that over the last couple of years’ plans have been underway between G.J. 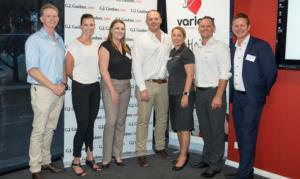 Gardner Homes Sydney West (Penrith), Variety Children’s Charity and Redbank to undertake a massive project to deliver a fully kitted out home ready for auction. All profit from this event will be passed on to assist with the great services Variety provide. Variety support children and families who are facing many challenges through sickness, disadvantage or living with a disability. Helping children and their families by providing financial support for things like wheelchairs, specialist equipment, therapy, and medical supplies, when they can’t afford it, and when government assistance isn’t available. David and Belinda Hogan are the proud owners of G.J. 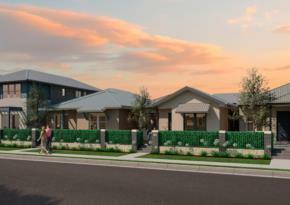 Gardner Homes Sydney West (Penrith). They have been the driving force behind pulling this amazing project together. Together with their efforts, we have all come together to really get behind and support Variety in this cause. North Richmond Joint Venture had no hesitation joining this adventure when approached. The Redbank team has contributed to the project by providing a handpicked allotment at a significantly discounted rate in a prominent location within our Mountain View precinct. Our Sales & Marketing Manager, Jock Douglas and Community Relations Manager, Brooke Taylor will be assisting representatives from Variety Children’s Charity and G.J. Gardner with promotional events over the coming months in lead up to the all-important auction. This fantastic event is also proudly supported by former professional rugby league great turned Triple M Grill Team Member, Mark Geyer and Miss Tourism Australia, Tasha Ross. The house chosen for this site by the G.J. Gardner team is ironically the Hawkesbury 255 modified with captivating, attractive features and modern, spacious living areas. The exclusive design provides you with more than one private oasis to retreat to. The Hawkesbury’s open, contemporary entertaining spaces have been designed to delight and inspire you. A supplier’s night was hosted at G.J. Gardener's Penrith office earlier this week. G.J. Gardener invited some of their local trades and suppliers to get a feel for the location and the types of work required to achieve the best outcome for the charity. Following this, people and businesses from the local area are generously donating their time and services to the project keeping costs to a minimum to maximise profit. If you or any tradesperson you know would like to donate your services or time to this very rewarding event please contact our Community Relations Manager, Brooke Taylor for details. More information will be provided as G.J. Gardner’s build progresses, leading up to the auction. North Richmond Joint Venture had some fantastic news earlier this week. 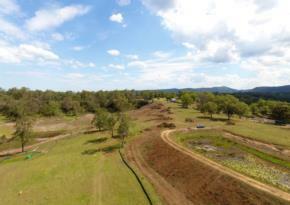 Lodgment of the Plan of Subdivision (DP & s88B) for The Gallery & Mountain Views Stage 1 release has now taken place. Unexpectedly, we had a bonus 9 lots in Mountain View, directly opposite The Gallery that enabled connection through the North Richmond network currently servicing the RSL Kingsford Smith Retirement Village. Now lodgement has taken place with Land and Property Information (LPI) it will take a minimum of four (4) weeks for LPI to review the submission and issue their approval. Late last year a water main along Grose Vale Road into Mountain View was installed. This installation allowed us to achieve Sydney Waters requirement for water pressure to an additional 20 lots, Mountain Views stage 2 release. Disinfection of the water main has now been completed. Connection of the water main took place on Wednesday, 1st February. There is still a final approvals process to be undertaken prior to Sydney Water releasing the section 73-certificate required for registration. We anticipate final release of this certificate by Sydney Water towards the end of February. 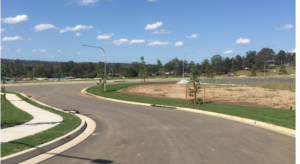 This will facilitate the final subdivision certificate with Hawkesbury City Council, enabling lodgment of the Plan of Subdivision (DP & s88B) for Mountain View’s Stage 2 release. As mentioned in last fortnights newsletter a meeting was held between the developer and Sydney Water to discuss possible options of servicing the lots in Mountain Views Stage 3 release. The final forty-six (46) lots to be delivered still have a low water pressure issue. Sydney Water have a solution to correct this. The preferred option is to connect into the existing Kurrajong water main currently servicing Kurrajong and Kurmond. Ironically as this is a feeder main, if works were to commence on the network as it stands, we would have a high water pressure issue. Sydney Water are undertaking a detailed analysis of the network to correctly identify what amendments are required to prevent damaging the existing network and connection to lots in Mountain View. We continue to work with Sydney Water to resolve this issue. We are unable to provide an update on the anticipated timeframe for lodgement and registration of stage 3 within Mountain View. It is realistic to say the additional required analysis, extra design, completing additional works, testing and approvals will not be completed by March 2017 for stage 3. Please be assured that we are doing everything possible to determine the best outcome for everyone involved as quickly as possible and will keep you up to date as this issue progresses. Great news for purchasers in The Gallery this week with the lodgment of the Plan of Subdivision (DP & s88B). JK Williams have commenced preparation of lots to assist minimising the additional delay from not lodging prior to Christmas. Once registration is confirmed, our legal representative will contact your conveyencer or solicitor to confirm and notify your fourteen (14) day settlement period has commenced. Our office will send an email to purchasers also. Following registration and prior to commencing construction, McDonald Jones Homes will apply for their Construction Certificate allowing them to commence building your new homes. This approval process generally takes a minimum of three (3) weeks to complete. We are no doubt as excited as you all are to see The Gallery precinct start to take shape and we will keep you up to date as construction progresses. Initial site works are progressing well within our Belmont precinct. The site entrance to Belmont for construction works has been completed. All soil and erosion controls have been installed. Perimeter fencing has been instated around the Belmont site securing the precinct for the duration of construction. Tree removal within the precinct is now complete. Water has been released from dams within the site over the past few weeks and the dam decommissioning commenced on site this morning. Subject to final approvals and weather conditions, the anticipated timeframe for registration is fourth quarter of 2017. The Development Application for Yeoman’s was approved by the Greater Sydney Commission on Thursday, 22 December 2016. Our team is continuing work on the detailed civil and utilities design. This process will take a few months to complete and we will keep our Yeoman’s purchasers updated as plans progress. Subject to final approvals and weather conditions, registration for Yeomans Stages 1-3 is anticipated to take place in the fourth quarter of 2017 with Stage 4 following in June 2018. The Christmas season is definitely over with Yobarnie Rise buzzing with tradespeople. Several homes are nearing completion and new residents are moving into the precinct almost weekly. The stockpile to the rear of the precinct will be relocated once civil works has commenced in our Yeomans precinct later in the year. Plans for the Peel Park upgrade are well underway. Peel Park is located on Arthur Phillip Drive across from the estate. There was some more exciting news for residents in the Hawkesbury LGA as Local Member of Parliament, Dominic Perrottet, was sworn in as the new NSW Treasurer and Deputy Leader of the Liberal party. Before entering parliament, Dominic worked as a Solicitor at Henry Davis York Lawyers in the areas of banking, restructuring and insolvency law. In March 2015, Dominic was elected as the State Member for Hawkesbury and was appointed State Minister for Finance, Services and Property in April 2015. A recent article in the Hawkesbury Gazette stated Minister Perrottet has “pledged to use his seat at the table to advocate for his state and the Hawkesbury”. Our team congratulates Minister Perrottet on this huge achievement at just 34 years of age. 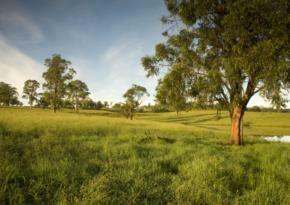 Local RSL Lifecare resident and avid photographer, Tom Walsh, has been out and about around Redbank. Each update will include one of Tom's photographs from the last fortnight. This weeks photo is a kingfisher Tom found in the trees on the bank of Redbank Creek.